The MCL-NSOM leverages their expertise with high-resolution SPM instrumentation and their core business of closed loop nanopositioning systems to design an NSOM that meets the performance criteria and versatility demanded by leading researchers. The MCL-NSOM is an aperture NSOM built on Mad City Labs RM21™ inverted optical microscope, which allows users to convert to aperture-less NSOM, AFM and fluorescence optical microscopy. The MCL-NSOM includes XYZ closed loop nanopositioning for sample and fiber scanning providing sub-nanometer precision and exceptional low noise performance. 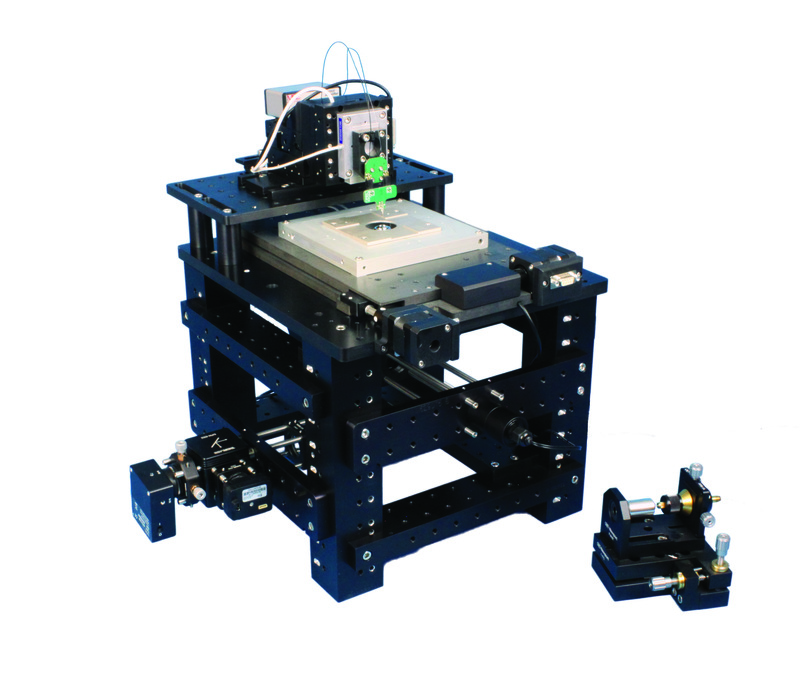 Six axes of automated positioning are provided, including independent automation for fiber alignment to the optical axis, and are controlled with LabVIEW based software. The MCL-NSOM includes fiber launch with excitation source, alignment camera, and detection avalanche photodiode (APD) but can also easily accommodate user ancillary excitation and detection optics further enhancing the versatility of this microscope.